“In March we’re going to do a trial with Dortmund and that will determine what I do with that career, which way it goes,” the 31-year-old world record holder told the Sunday Express. Bolt shares the same sponsor -- Puma -- as Dortmund and the trial with the Bundesliga team has been arranged by the sportswear company. “One of my biggest dreams is to sign for Manchester United. 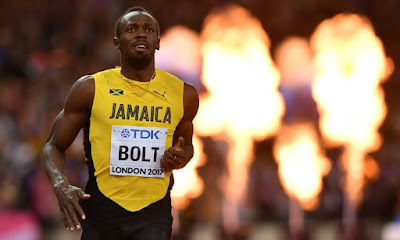 If Dortmund say I’m good enough, I’ll crack on and train hard,” said Bolt.